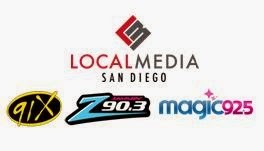 Local Media San Diego, LLC has an immediate opening for a bus driver to drive/operate our 45 foot MCI mobile studio. Driver will be responsible for driving the bus to locations throughout San Diego for ten to twenty hours a week. Driver will interact with clients and public, so good attitude and positive attitude is a must.